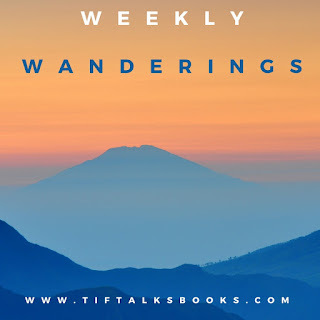 TIF TALKS BOOKS: WEEKLY WANDERINGS: It's #BoutofBooks Time! 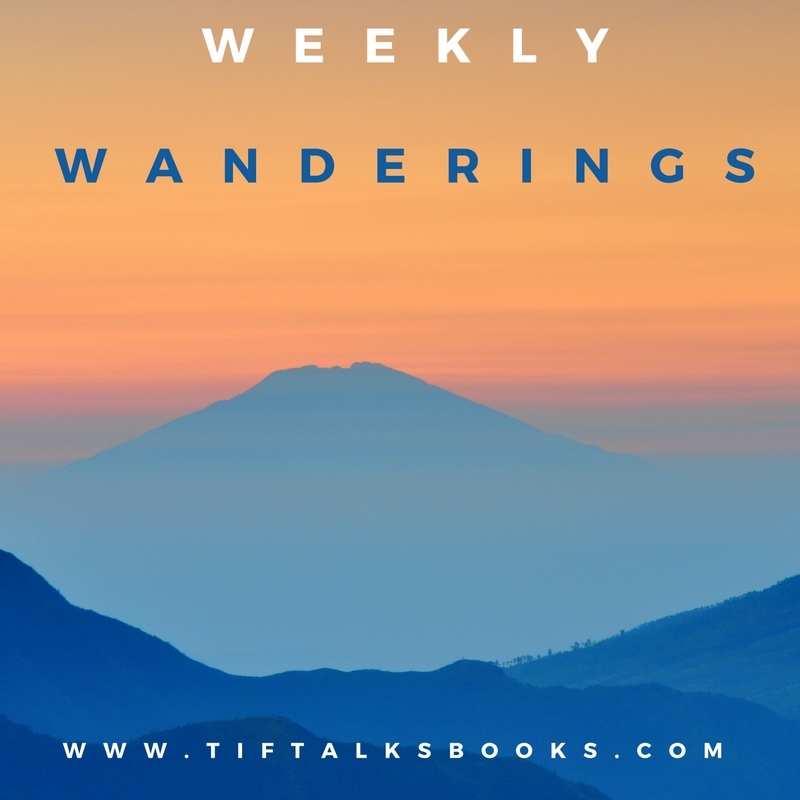 WEEKLY WANDERINGS: It's #BoutofBooks Time! It has been 18 days since I last posted. 18 days. Whoa! Life just seems to have gotten in the way. Thank goodness for Bout of Books to get me back in line, and just in time before I return to work next week. I have no good excuses, so let's just move forward. Bout of Books is a week-long readathon that kicked off yesterday morning and will run through Sunday. They have challenges and chats, but this week I am just focusing on reading as much as I can. I am in the midst of planning a number of other events for September, prepping my office for the new school year, and getting some lesson planning done as much as I can before the kids arrive. Now, for the pile . . . 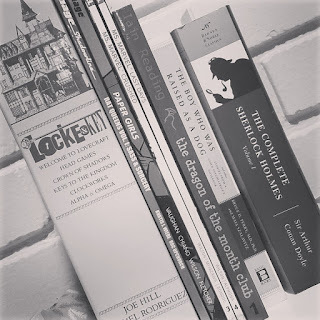 If you have been following me the last few months, some of these books may look familiar. The reason is because many of these books have been on my TBR pile for a while. I have been in the middle of some of these books for a very long time. A very, very long time. And, it is time for me to get through them and move on. Thankfully, I am feeling super good about this because I have already completed one of those books ... Ms. Marvel #3: Crushed by G. Willow Wilson. 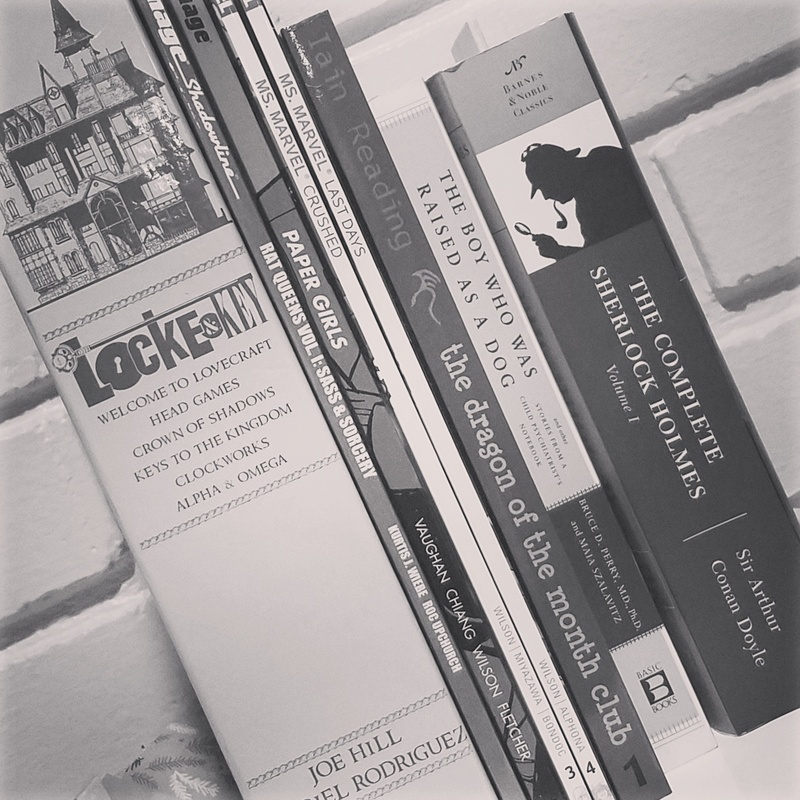 I am going to focus on some light reading to start with the graphic novels, then dive into other books, probably throwing in a bit of Sherlock here and there. I will also be getting in a little audio. I've got a number of books in the queue, including Fangirl by Rainbow Rowell (okay, so I'm actually in the middle of this one), Requiem by Lauren Oliver, and Thrice the Brinded Cat Has Mew'd by Alan Bradley. And, I hope to finally finish Harry Potter and the Order of the Phoenix with my kids. Lots of expectations for this week, and I hope that I can escape into lots of wonderful worlds along the way! Are you participating in Bout of Books this week? Have fun. I've been reading my current read forever too. It's a chunkster and it's taking forever!!! Jenny ... I hate it when that happens, even if I'm enjoying a book. The good news is I've been getting through a few books this week, and I've got one day left! !